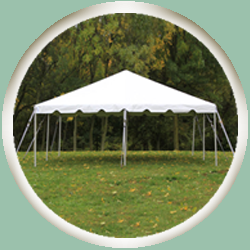 This 20' x 20' Frame Tent provides 400 square feet, under shade or out of the elements. There are a multitude of configurations you can use this for including no chairs, chairs only, tables and chairs, or tables only. If you are going to have tables and chairs, you can expect 48 places comfortably. Chairs alone will allow for roughly 60 people comfortably. 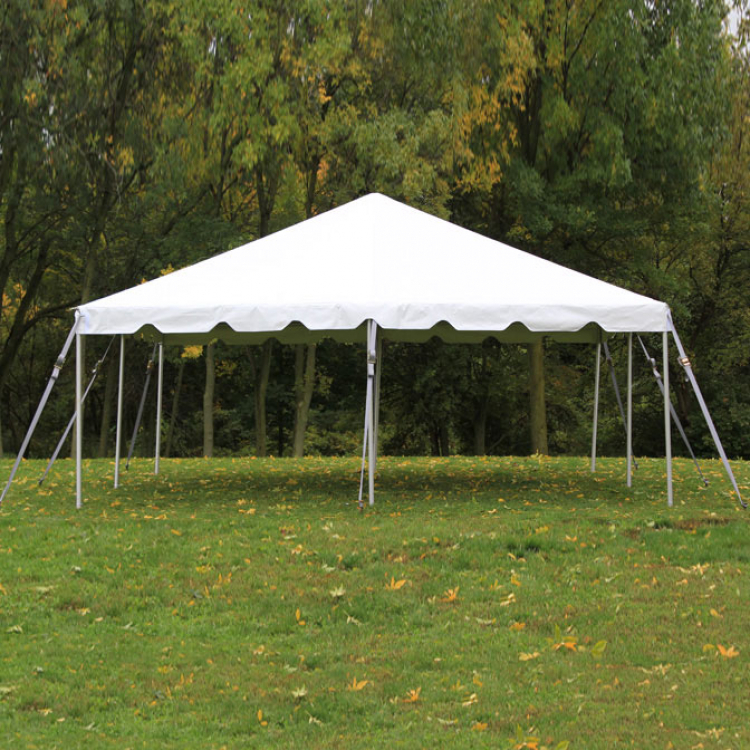 Minimum 25' x 25' open area with no area obstructions and no overhead obstructions. Area must be a relatively level surface. A slight grade is acceptable.